A fun destination park with 15 miles of mountain biker trails and a skill park. One of the most easily accessible county parks around Austin, Pace Bend Park offers great camping, lake access, swimming coves, 15 miles of singletrack trails, and an impressive skills park for mountain bikers. 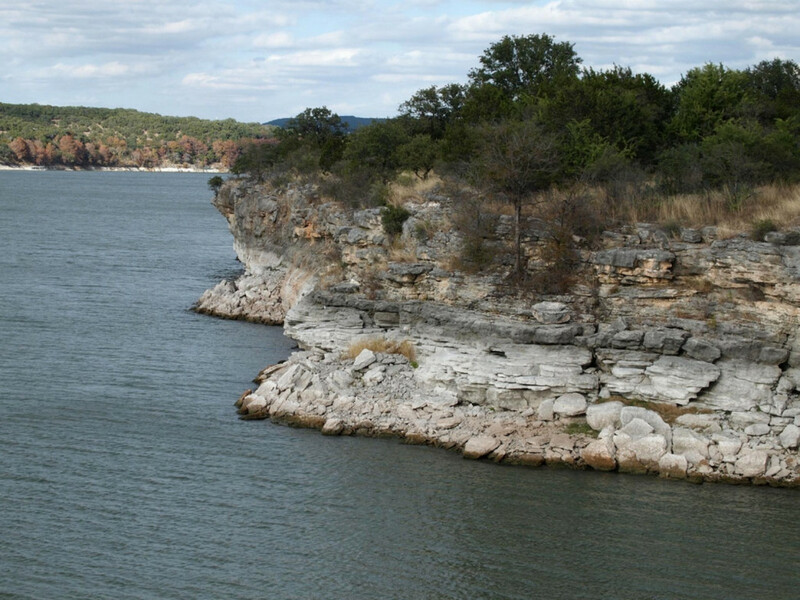 The park is a 1300-acre peninsula on Lake Travis and offers beautiful lake views, some moderate cliff diving (with appropriate lake levels), and an appealing network of trails for the active adventurers. The riding is solid, whether you are biking the trails or testing your mettle in the skills park. Making a weekend adventure is a great way to hammer out a few good rides one day, then explore the other outdoors features in the area. The 6.5 miles of singletrack and 8 miles of mixed use trail are semi-technical, perfect for intermediates or beginners ready to push themselves. For experts, the skill park is where it's at. Because of the skills park, there really is something for everyone here. Take that out of the equation and you are left with a nice network of easy-to-intermediate trails with some surprisingly tough sections. The riding is fun and fast. The standard Travis County Park day pass costs $10 – BUT this pass gets you into ANY Travis County Park for that day. Those who are more ambitious, cheap, or pressed for time could do Pace Bend, Reimers Ranch, and Hamilton Pool all in one day on one pass. Pace Bend can get crowded for special events, or when the lake is high in the summer, yet most of the year, this park is pretty calm.